Landing the marketing job of your dreams may not be as far away as you think. With so much competition for marketing jobs in the employment landscape, only those who can set themselves apart and offer more than their competition gain the edge. Consider these tips for scoring your next position in marketing. 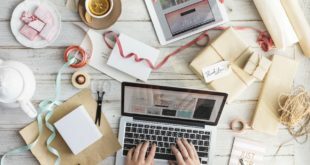 Crafting a unique cover letter for the position may be the key that unlocks the door to your new marketing job. Your cover letter helps you stand out among other candidates, and those who are well informed beam brighter than the competition. Candidates with a thin resume can claim a new marketing position if they are knowledgeable and display genuine interest in the company. Be sure to state what you can bring to the company, and the help you can provide if you are hired. With so many candidates submitting general cover letters to agencies, your customized cover letter will stand out even more. In many cases, simple resumes for executives may be the better option over longer resumes packed with extraneous details. You resume should highlight your skills and the most notable experience that makes you the best candidate for the position. Epic marketers have a balanced arsenal of skills and a list of project achievements that they are proud of, and these are unique details that can help you stand out. If you earned any accolades and awards for past performance, be sure to share those milestones to build convincing resume. You can also include some writing samples along with your resume to prove your skills and expertise. Many times, it is the skills you lack that can sabotage your chances for a prime marketing position. That applicants should do whatever it takes to get the skills necessary for a desired position, to get closer to actually getting hired. It is crucial to study as may up-to date books, blogs, and white papers as possible so that you are more equipped to deliver using the latest strategies and technologies. The more skills that you possess , the more likely that an advertising agency or company may choose you. Every person who is seeking a position with a top marketing agency or a successful company should not hesitate to show their past results. Putting together a handsome portfolio can go a long way in impressing agency executives who can influence the company’s final decision. Giving details of your past successes in the field is a great way to showcase your abilities and accomplishments using examples of your work. Without a doubt, great effectiveness during past marketing promotions can positively influence your chances of being selected today. 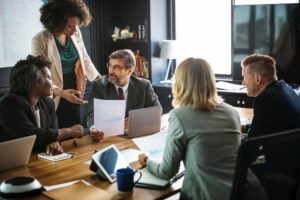 Sometimes it is not what you know, but who you are connected to that makes all of the difference in whether you snag a coveted marketing position. That 15% of marketing positions are filled through job boards; but most companies fill positions internally or through referrals. Networking in the right circles can help you forge your way into a marketing job. Consider using LinkedIn to build your contact list and cast an influence in the industry. If you can get a powerful reference from a power player, you can score a hot marketing position quickly. If you are called in for an interview, don’t be afraid to bring some of your best ideas to share. You can also reassure the company that if you are selected, you plan to implement some specific marketing strategies and suggestions. Research the company to determine the flow of their current marketing techniques and projects, and add an original twist to present to your evaluators to shine. Consider negotiating your yearly salary as well to initially get into the marketing position of your dreams. 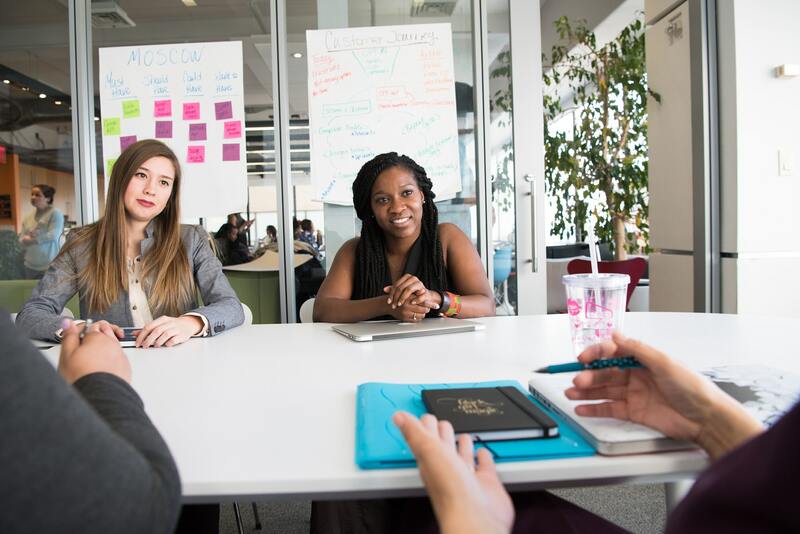 When there is a variety of stiff competition on the table, you can negotiate your salary expectations to appear as a highly qualified, yet more cost-effective choice for the company. Actions speak louder than words, so don’t underestimate the power of your portfolio combined with a summary of skills and relevant experience on your resume to sway the hiring manager into choosing you. In some cases, you may need to impress a board of people to get hired, so don’t hesitate to put your best foot forward at every level of the interview process. If you choose a position that you are an excellent fit for and you arrive well-prepared, you can land the job. When business owners motivate their employees and increase engagement, businesses succeed. In the age of technology, businesses need their employees to produce more efficient work to increase revenue. It is human nature to have an increase in energy, be less stressed, have more creativity, and help others when when we are happy. 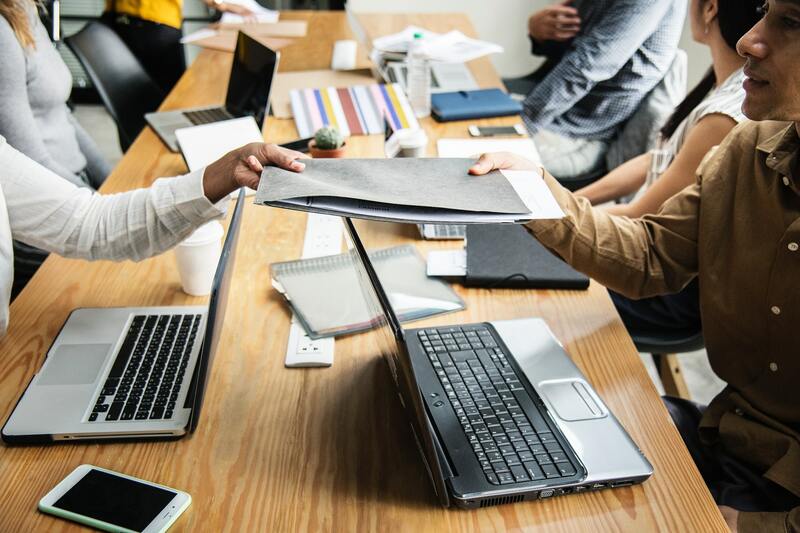 According to a study conducted by economists at the University of Warwick, happy employees resulted in a 12 percent increase in productivity, and unsatisfied employees were 10 percent less productive. Although some may believe that salary is why the majority of people leave jobs, pay isn’t usually the case. Research has shown that salary isn’t typically the primary cause of people leaving their jobs. The main reason people leave their jobs is because they don’t feel appreciated and valued. Here are some ways that business owners and managers can improve revenue through happy employees. When employees don’t feel trusted to complete the duties of their jobs, it can hinder their ability to solve problems and cause a lack in confidence. By letting your employees know that you trust in their abilities, it will give them a sense of value and optimize their contribution to the success of the business. When business owners encourage their employees to be themselves, it creates a seamless transition between work/home life. When employees can be themselves at work, they can relax and produce better work. Games, fun activities, and laughter can be excellent ways to relieve tension and create a bond among employees. Be sure to acknowledge skills and qualities that are seen in employees because it is a vital factor when it comes to employee engagement. Thomas Britt is psychologist at Clemson University and stated if individuals are not provided with the opportunity to showcase their skills and talents, their level of engagement and commitment will significantly diminish. When employees are given perks, such as good insurance, free lunch one day per week, or casual Fridays, they feel valued and appreciated. There are many companies that use benefits to increase employee productivity, which may include free memberships to fitness centers, childcare, or the choice to work remotely once per week. What is HRIS? It’s a software program that can be used to help those in the human resources department increase productivity. Although employees in the human resources department primarily use this type of software, it benefits employees in every department. With the use of HRIS, there will be less issues with payroll and benefits. There are also HRIS programs that have self-service features that provides employees with increased engagement. If business owners provide their employees with opportunities for career growth, it will enhance the skill sets of employees, which will boost productivity and revenue. In addition, by giving employees the chance to grow, it lets them know that you believe in their potential and are worth the investment. 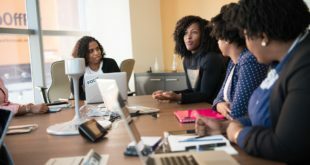 There are many companies that offer compensation for attending conferences and workshops, education, and mentor programs. When your employees are provided with specific, challenging goals, it will help them work to their fullest potential. Even if an employee is tasked with assembling a small product, he or she should understand every step of the procedure with a clear goal of how many he or she will assemble during their shift. Goals that are clearly stated and defined provide employees with a guide that helps them accomplish their goals and recognize their progress. According to a study conducted at the University of Alberta, employees who are focused on their goals show a 60 percent decline in absenteeism. A business is only as successful as those who help it function, and when a business owner keeps his or her employees happy, it helps the whole business thrive. As you already know, cloud technology has grown exponentially over the past several years. 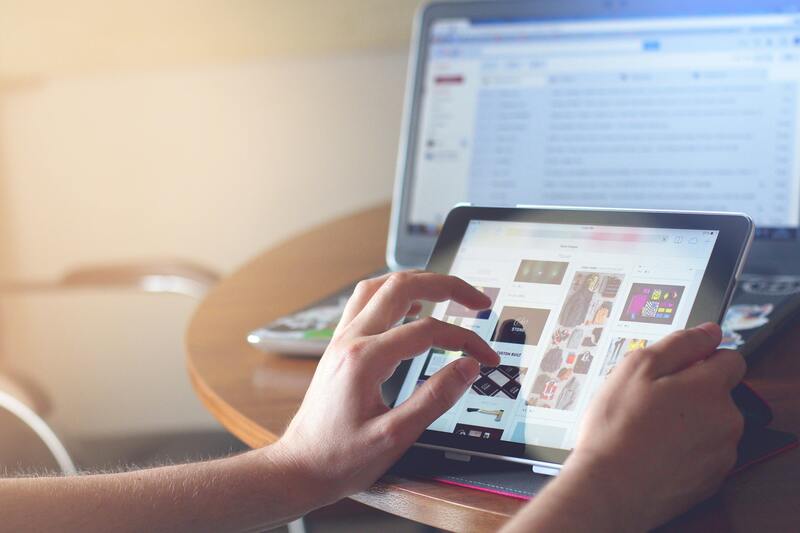 Thanks to its rapid-fire growth, people can now save and access information on their laptop or mobile device more quickly – provided they have an internet connection. 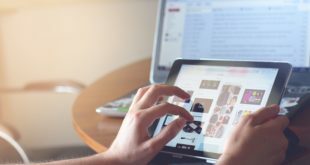 While most business owners know how to use cloud technology at a fundamental level, there are advance ways they can use it to help grow their business. Here are five ways business owners can take full advantage of cloud technology and use it to its fullest potential. Before cloud computing, business owners and their employees had to be at one location to complete their work. Now, thanks to this technology, both parties can get more done anywhere without dealing with many obstacles. Furthermore, business owners can manage their business much better without much hassle since the information they need is in the cloud. In addition to better management, the scalability of cloud technology allows firms to reduce the number of servers needed to save huge chunks of data. Therefore, reducing the cost of maintenance required to keep them running smoothing. In addition to reducing the cost of server maintenance, cloud computing is internet-based. Meaning business owners don’t need to waste time and money purchasing and installing multiple servers. They pay a small subscription fee, and they’re good to go. Also, cloud technology doesn’t require a big IT team. Because the cloud completes tasks, such as data backup recovery, business owners don’t need to spend money hiring IT professionals to perform such tasks. Instead, they can use that money to hire people for more significant roles, such as data analysis. You’re working on a project, and your computer crashes right before you have the chance to save your progress. Luckily for you, the cloud saves and backs up your work automatically. Therefore, if anything happens, your data doesn’t get lost, and you can continue where you left off. Furthermore, cloud technology does a fantastic job of securing data. One way it does this is through a cloud access security broker (casb). What is casb? It’s a security measure that enforces guidelines all cloud-based security policies must meet. Therefore, providing business owners with more security over their data, and giving their customers peace of mind knowing their data is safe as well. As mentioned earlier, cloud technology allows for both business owners and their employees to work anywhere. It creates a virtual office space where both parties can work on projects, share information with each other, and edit their work. As a result, more work gets completed, there’s no time getting wasted, and both parties can work comfortably anywhere in the world. Plus, this saves costs because both parties don’t have to waste money on gas driving to and from an office building. Even cooler, this situation can be replicated on one’s mobile device thanks to downloadable applications. Before the cloud existed, people emailed documents to each other as attachments, which resulted in a mess of different file content, formats, and titles. Therefore, spending hours organizing everything and wasting time in the process. Now, with cloud technology, everything is organized in one location. Therefore, team members know what they’re looking at without any issue, which improves workforce collaboration. Improved document control works best when you have team members that live in different regions of the world. Those are the five ways business owners can take full advantage of cloud technology to grow their business. If you’re a business owner, hope you learned a few things you can use for your business that you didn’t know before reading this article. If this content has helped you, then share it with your friends on social media. We’ve all heard the tired cliché “don’t put all your eggs in one basket.” In other words, to be successful in the long run, it’s a good idea to spread your money around in diversified areas. You’ll certainly invest some in a retirement fund. Maybe you’ll save some in the bank, but good luck accruing any notable interest. You’ve likely at least considered investing in stocks as an option. But what if you don’t really know the stock market? It can be hard to tell the difference between a reliable investment and a disaster waiting to happen, and this can get intimidating fast. Maybe you’ve been scared away from this option in the past. Fortunately, there are some no to low risk options for newcomers to learn the ropes before diving in. 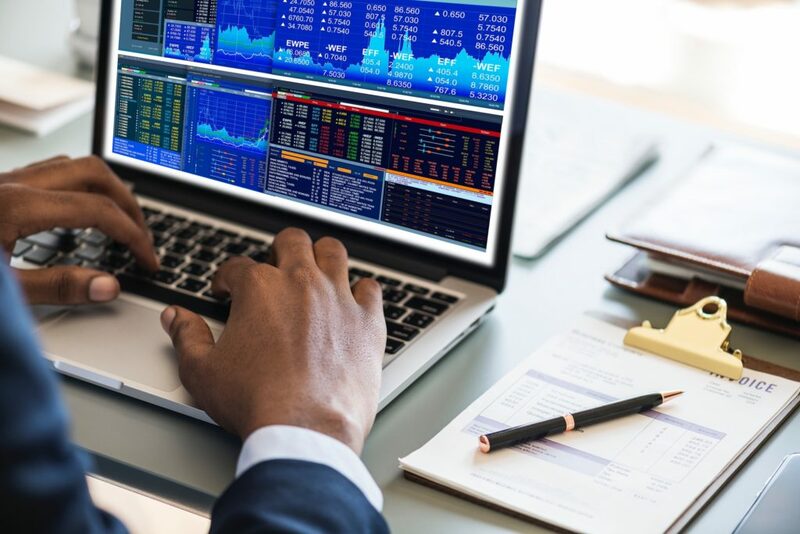 If you’re completely new to the stock market, or options trading, you may consider studying with the assistance of a service like options animal. These services will often offer some free tips about the basic concepts of investing, so you’ve got nothing to lose by just having a look. Beyond this, they’ll offer paid courses on different elements of investment and wise practices, all backed up by experts. You’ll be able to choose which individual course(s) you wish to undertake, so you’ll get an individualized experience for your needs, whether you’re a beginner or an advanced trader. After looking at these options, it’s wise to test your knowledge/instincts before actually heading into the market. Thanks to apps like Tradehero, it’s possible to trade with virtual currency to test the waters. This app starts you with 100k in virtual money and lets you invest in different options and watch the virtual market change in real time. 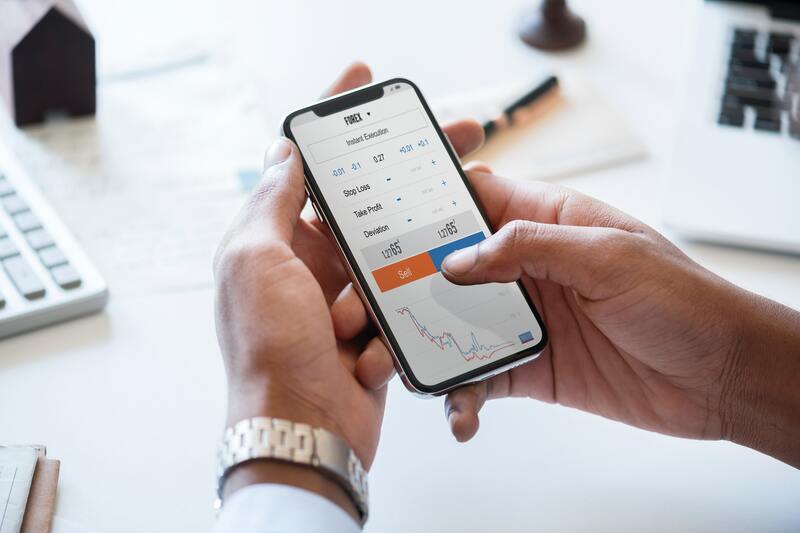 It also offers tips from trading experts, and in some countries it’s even become possible to make real trades with the app once you’re comfortable with the concept. This makes the app a good potential bridge from a risk free environment into the real market. Once you’re comfortable with the basics, you’ll need to find your vehicle for your trading. Luckily, there are plenty of apps to choose from to match your experience and needs. Acorns is a low risk app that’s near universally considered good for beginners. Essentially, this app keeps track of your spending and “rounds up” purchases to use in your account. It collects change to store in your investment folder, and it also makes suggestions on where to invest the money. You have little to lose with this method, and you may be surprised how quickly that spare change can turn into significant revenue. 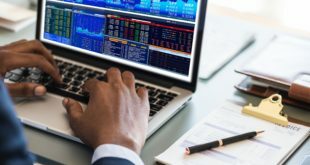 If you’re looking for something more adventurous, or maybe some quicker returns, a technique called “day trading” is fairly simple to understand. This is basically the practice of buying stock and holding on to it for a brief window (sometimes not even a full day, hence the name) and selling it as soon as it goes up. Robinhood is considered a good app for this, as it doesn’t charge any commission fees. While it won’t bring in a ton of wealth at once (unless you’re risking huge sums), it’s relatively low risk and can net you some extra money with little effort. If the buying/selling stocks seems complicated or stressful to you, or maybe you just don’t want to deal with the hassle, there’s no shame in calling in the pros. In fact, there are some advantages in hiring a full service broker instead of handling everything yourself. They can offer you on-the-spot expert advice in an ever fluctuating market in more detail than an app. They can also maintain all the documentation for you, which can free up a good chunk of your time. Best of all, ensuring your success is their livelihood, so they’ll be as invested as you are. However you decide to go about it, there are plenty of convenient ways to invest regardless of your experience level. Are you tired of waiting months on end for your job application to be viewed by the employer? The real reason you don’t hear back is that on average, job postings receive more than 200 applications. By process of elimination, roughly four to six people are invited in for an interview, leading to one person receiving an offer. Fortunately, resume writing services can advise you on how to write an engaging cover letter or build an attractive profile on LinkedIn. A certified resume writer will recognize issues with formatting or signs of keyword stuffing. Employment Boost works with clients to help them get hired by writing top-notch resumes that are guaranteed to reach the top 1% of the ATS system from human resources. Employment Boost offers only the highest quality resume writers, all certified professionals, with Bachelor’s degrees from top colleges, to make your job hunting easier. Their in-house team is situated exclusively in the US so there is no outsourcing to overseas freelancers just to cut corners in case you’re concerned about who is viewing your personal information and your past work experience. On top of that, their resume writers have years of experience recruiting for agencies, interviewing qualified candidates, and advertising job openings, therefore, they know what goes on in the resume screening process. For evidence of their success at placing people in all kinds of careers, just read about the company’s case studies. Employment Boost’s main goal is to assist job seekers using the most up-to-date career services available. They emphasize the importance of moving up the corporate ladder, thereby creating high-impact resumes, allowing individuals to find their dream job in no time at all. 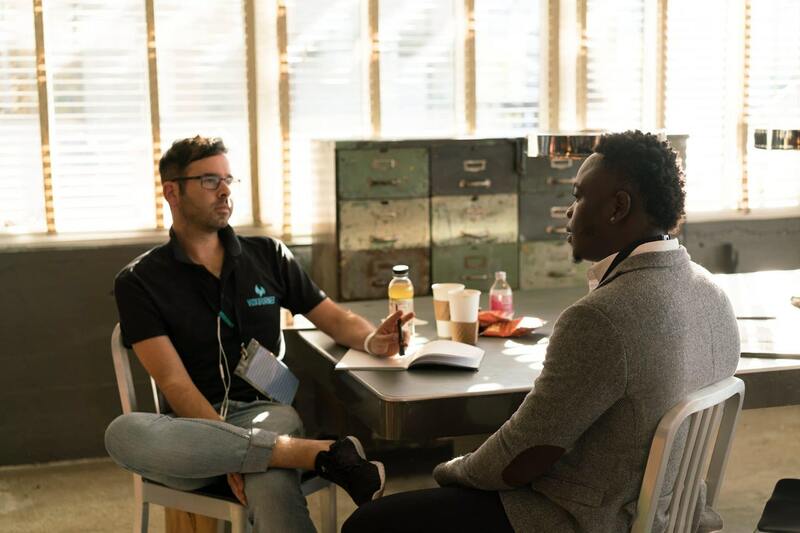 Since the job market continues to be unstable, it’s necessary to understand how different hiring managers make decisions as to who should be invited on board, including whether the candidate has the right skills to keep the business cycle running or not. Other services they cover include but are not limited to, global executive searches, national recruiting, human capital consulting, and even research the backgrounds of job seekers, such as their ethnicity and age. Employment Boost gives you access to professionals who understand the skills most in-demand in each industry, followed by how you can present your accomplishments in an eye-catching manner. Instead of listing your past employment dates and responsibilities, you should only focus on the skills relevant to the position you’re applying to. And that’s where Employment Boost lends a hand, using their resume database, which contains thousands of possible resumes to compare with yours. For more information on their pricing, visit https://employmentboost.com/outplacement-service-costs-and-pricing/. This page lists all the services each outplacement package covers. You could sign up for interview coaching or learn how to write a Thank You letter. It has everything you need to secure your job hunt. The Executive Core provides transitional support and career planning, not to mention weekly coaching that lasts up to 3 months. If you need one-on-one consultation, Employment Boost will arrange your meeting with a coach. As for updating your LinkedIn profile, they’ll guide you through how to fill out each section to make you more noticeable to employers. You no longer have to worry about your resume slipping past the ATS system, once you understand how SEO rankings are determined. The real question becomes: When is it a good idea to use a resume writing service? You certainly don’t want to get passed over for a specialist position in robotics engineering or medical diagnostics just because your resume didn’t impress the hiring manager. The format of your resume is equally important as your actual credentials. A quality writing service should consider the specifics of an industry before editing anyone’s resume.